Nico Rosberg stunned the F1 world when he announced his retirement just days after being crowned world champion. His relationship with teammate Lewis Hamilton has been a turbulent one, and comparisons have been drawn with some of the fiercest rivalries from the sport’s history. 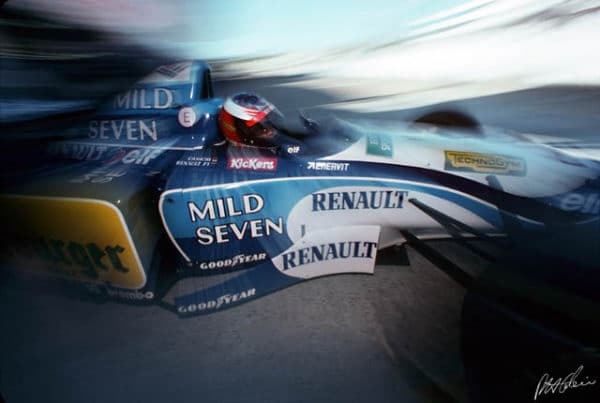 In an exclusive interview, Johnny Herbert explains why he would have acted similarly to Nico Rosberg, and why he sees some similarities with his own battle to beat Michael Schumacher in the mid-nineties. “I was not as shocked or surprised as many others,” says Johnny, when asked his thoughts on Nico Rosberg’s decision to quit F1. “The biggest thing I saw in Abu Dhabi – and I can’t remember whether it was after the race or on the podium – was he looked absolutely shattered. Mentally and physically shattered. 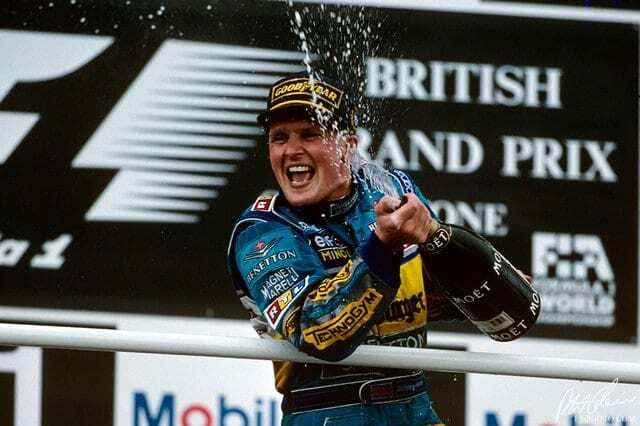 “Sometimes we’ve been a bit critical when he won a race because we didn’t see the emotion, but it was brilliant to actually see the way he went about the achievement. Few would put Rosberg in the same bracket as Hamilton, despite his championship win, and Rosberg himself seems to have supported that theory on occasions; an approach Johnny finds difficult to understand. “Was he as quick as Lewis? He’s openly admitted that Lewis sets the bar, but I find it astonishing that he’d tell us that because as a driver you don’t give your teammate power by saying he’s the best. “He knew that to be able to do that again was probably not within his natural ability. Some people would say ‘carry on and take the number one on your car’, but at the end of the season, if he finishes second, third or fourth, people will just say ‘see, I knew he wasn’t any good’. 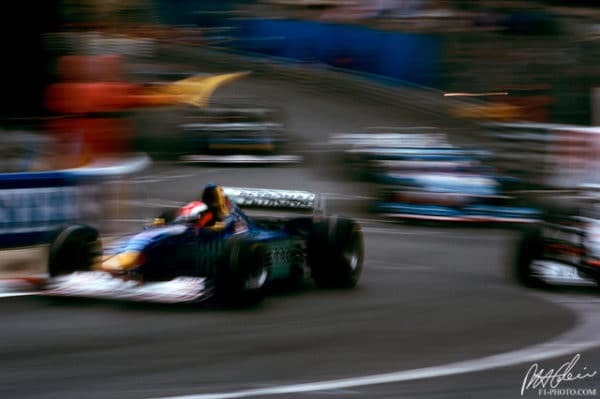 Despite their success on-track, Hamilton and Rosberg’s relationship deteriorated significantly during their time as teammates, and Johnny sees some similarities to his time at Benetton in the mid-nineties. “Michael [Schumacher] and Lewis are at a similar level as far as their competitiveness, natural ability and cunning that they have. It’s exhausting being the one that is just behind. As much as Mercedes gave Nico the ability to win races, there were occasions when the team seemed to be a bit more positive towards Lewis. “You’ll feel that within the team. When I was with Michael, you always knew Ross was working for Flavio, and then all the other people around him; Pat Symonds as well, he was Michael’s engineer. You always knew that they were aiming that year, in that championship, for [Michael], and then you’re there on the other side. 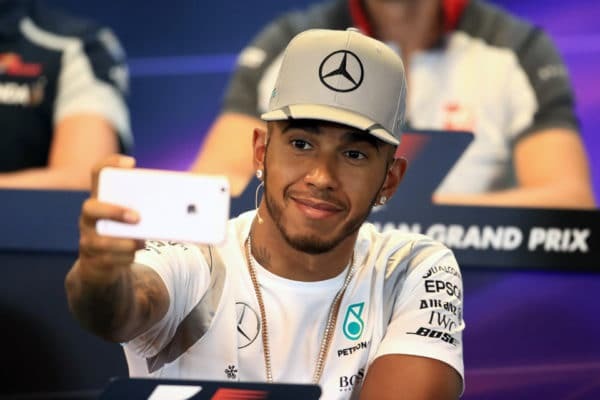 At times, Hamilton has been criticised for his celebrity lifestyle and for pursuing his interests outside of the sport, but as Johnny explained, most drivers in the limelight will face their fair share of criticism. 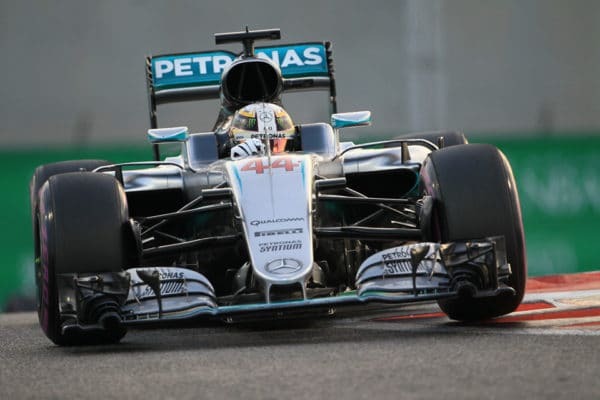 “We all know how good Lewis is, but he’s good for Formula One as well. Yes, he’s got his ways, as everybody has, from Lauda to Piquet and even Mansell, but they’re all different characters; they do things in different ways. Some people like Lewis and some people don’t. “People are often critical of certain drivers because of something that they do. Even with me, I was a three-time winner, but some people don’t like me for whatever reason, which is fine – that’s how it is! Perhaps they would have been more fans of Damon for example, but that’s sport, that’s life and how it is. 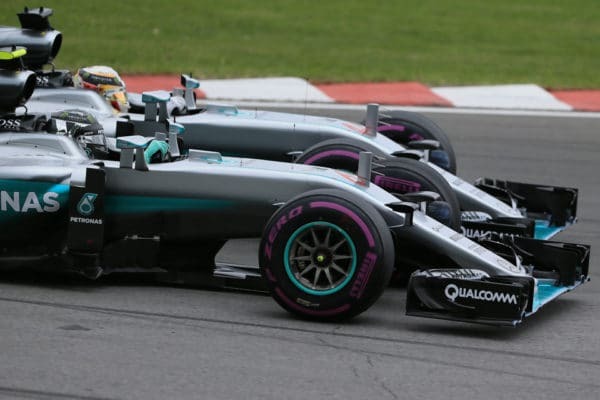 Just as Hamilton faced criticism, Rosberg did too. His lifestyle may be far removed from the one that his teammate enjoys, but he’s also far from being the most popular champion of recent times. “Some critics will be the same with Nico now because he’s not going to go and do another year as a world champion, but when you look at the situation with Lewis, like with me and Michael, Ross and Pat Symonds – it was a very hard thing to beat. “I look back now and think ‘Would I have beaten [Michael]? No.’, but I was always trying to brush that aside. Mercedes attempts to impose team orders proved an unpopular move and resulted in Hamilton risking the wrath of his team by ignoring repeated instructions to speed up – something Johnny has strong feelings about. “I don’t agree with a lot of people who said regarding what happened with Lewis in Abu Dhabi, ‘He should do as he’s told, he’s an employee of Mercedes’, that was nothing to do with the team, it was for the drivers’ world championship. “It’s like with myself and Michael; it was all done for [Michael] to become world champion. “It turned into a bit of a mess that we haven’t seen with Nico and Lewis. In fact, it’s probably Lewis who has been a bit more on edge because he could see he was going to lose the world championship. With Rosberg needing only a podium finish to clinch the title in Abu Dhabi, Hamilton resorted to the only tactic that he had left – to back Rosberg up and hope that he was overtaken. Surprisingly, this sparked debate as to whether his actions were unsporting. Johnny disagrees. “It’s racing. It’s a bloody hard thing to do – to back someone up like that without losing – and it wasn’t just one place; it was two. What is wrong with that? Part of the problem, as Johnny explains, is the perception people have of what really can be classed as ‘sporting’ when the priorities of team and driver contradict one another. “I don’t understand people who say ‘Lewis is against the team’ – it’s not a team. It’s only a team as far as everyone’s working for the same company, but are we interested as fans in the constructors’ championship? I don’t think so. The fans are there for Lewis, Max, Kimi, or whoever. “When I started, it was the FIA Formula One World Drivers’ Championship, so the drivers are supposed to be the gladiators of the sport. We want to see them fight with each other, that last lap, last corner scrap – that’s what we want to see! Johnny’s book, What Doesn’t Kill You (My Life in Motor Racing) is out now and available to purchase. Many thanks to Johnny for being generous with his time. Badger’s Big Brazilian GP Bash – Sign Up Now!